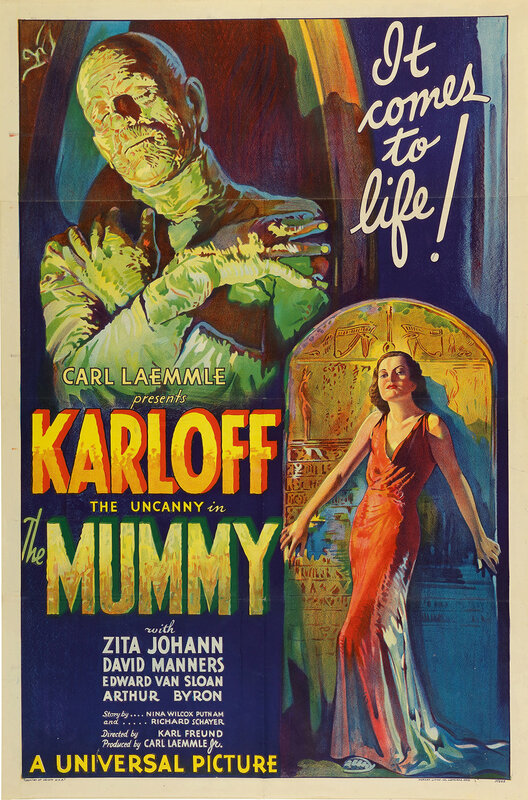 NEW YORK – A rare, original poster from the Boris Karloff horror classic, “The Mummy,” is expected to sell for over $1 million, a record price for a film poster, Sotheby’s said on Thursday. One of only three known surviving examples of the original lithographic poster from the 1932 film, the piece set a film poster record more than 20 years ago when it fetched $453,500. The auction house expects it to sell for $1 million to $1.5 million, breaking the auction record for a film poster of $525,800 set in 2017 by a poster from “Dracula,” the 1931 horror film starring Karloff rival Bela Lugosi. The starting bid is set at $950,000 and bidding in the online auction is open until Oct. 31. The work depicts Karloff in the title role as “The Mummy,” with eyes closed and hands crossed over his chest, and Zita Johann, the subject of his desire, in an alluring, red V-necked gown. The poster was exclusively created for movie theaters promotional purposes and was never made available to the public. It has been featured in a 1999 exhibition at New York’s Whitney Museum and will go on display at Sotheby’s from Oct. 14 to 18. “‘The Mummy’ is one of those early horror movies that really cemented the genre as the type of horror master film that we see today,” Sotheby’s prints specialist John Maher said in a statement. “This is a really exceptional example, that was such an impactful image to begin with,” Maher said.